When I starting writing this column in 2008, my goal was to share positive stories about leaders making a difference in the state of Mississippi. I have had the good fortune to interview inspirational leaders from around the state. Great leaders “pay it forward,” and I have always tried to help them do that by sharing some of their leadership insights. It has been particularly exciting to visit with young and energetic leaders who are on the rise. My interviewee this week, Boyce Adams Jr., is one of those leaders. Adams is president of Columbus-based TheBiz, a start-up business accounting software company, and he serves as vice-president for Marketing and Sales for its sister company BankTEL Systems. BankTEL is a true Mississippi success story. With over 1,400 clients, it is an Inc. 500 Fastest Growing Technology Company and was named one of the Deloitte Top 500 Fastest Growing Companies in 2014. Adams grew up in Columbus and went on to Vanderbilt University in 2007 where he was an Ingram Scholar, which emphasizes academic excellence, leadership, and community service. After college, Adams worked at the White House in the Office of Presidential Personnel and later as special assistant to the administrator of the Federal Aviation Administration. 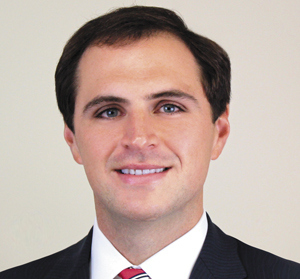 He then returned to Mississippi in 2009 to join his father, Boyce Adams, Sr., at BankTEL. Adams has helped his company grow from 500 clients to 1,400 clients in 50 states and more than 15 countries. I am encouraged not only by the success of Adams and his businesses, but also by his commitment to service in his community. Leaders like Adams will shape Mississippi’s future. I look forward to it. Originally published in the Mississippi Business Journal, February 5, 2015.